The Center’s activities are run by its director, who is an engineering professors of Irrigation at the Faculty of Engineering. CWP provides engineering consultations, technical services, research and development work, and continuous engineering education to national establishment and governmental organizations. The Center offers consultation on contractual basis in engineering disciplines related to water projects. The expertise of the Faculty professors who represents the consultants to the Center, is fully supported by the laboratory and computational facilities, Internet services, as well as libraries of the Irrigation and Hydraulics Department and the Faculty of Engineering to assist in conducting the different activities of the Center. 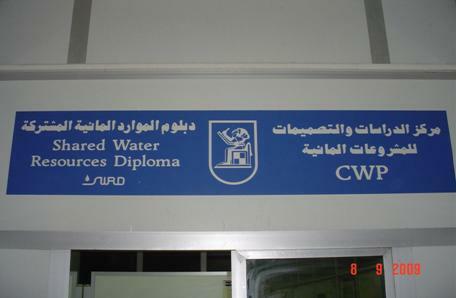 The CWP aims at enhancing the quality of research and design works related to water projects, by providing expert consultations and supervision, experimental and field investigations, as well as on the job training of engineers and technicians working in the field of water-related projects. • Hydrology studies for evaluation and enhancement of water resources. • Hydrology studies for evaluation and management of aquifers. • Design, execution and testing of water wells. • Studies and designs related to irrigation and drainage projects and land reclamation. • Studies and designs of Hydraulic structures. 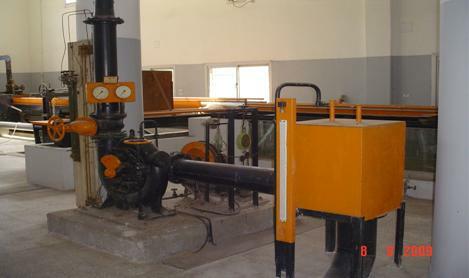 • Design and planning of pumping stations. • Studies and designs of water canals and pipe networks. • Studies and designs of water hammer protection works. • Studies and designs of Nile River structures and navigation. • Environmental impact assessment studies for water projects. • Preparation of economic feasibility studies for water projects. 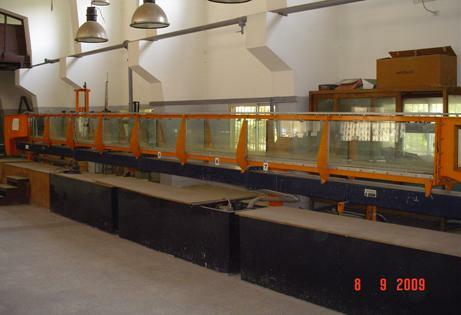 • Performing laboratory experiments and tests related to local water problems. • Organization of specialized workshops for engineers and technicians. • Establishing continuous contact with other Universities, Research Centers and Organizations working in the same or in related fields. • Preparation and development of educational and teaching aids. 1. Project title: Study of Sediment movement in lake Nasser and its impact on the intake of Sheikh Zayed Canal Pumping Station, Southern Valley Development Project (Toushka) 1998 – 2000 . Detailed description of project: Field investigation, survey of previous studies, collection of existing field data, simulation of sediment movement in lake Nasser by computer modeling , determine its impact on the intake site of Sheikh Zayed Canal Pumping Station. 2. Project title: Study of Air Blown Sand Movement and Protection Works for Sheikh Zayed Canal Project, Southern Valley Development Project (Toushka) 1999 – 2001. Detailed description of project: Field investigations, wind rose analysis, simulation of sand movement, determination of risk zones, recommendation and design of protection measures. 3. Project title: Creation and Supervision of the Green Belt for Sheikh Zayed Canal, Southern Valley Development Project (Toushka) 2000– 2004 . Detailed description of project: Field investigations, wind rose analysis, simulation of sand movement, determination of risk zones, planning and design of green belt, recommendation and design of irrigation system and plants. 4. Project title: Environmental Protection of Naga-Hammadi Affected Villages Sanitary Drainage , Building Protection 2001 – 2005. Detailed description of project: Environmental Protection of Naga Hammadi Villages (9 villages) affected by the rise in groundwater due to the construction of the New Naga Hammadi Barrage, Sanitary Drainage / Building Protection, funded by the KfW, Germany. Consultant for the Project Management Unit of the Ministry of Water Resources and Irrigation, Egypt. Activities include preparation of terms of reference for the project, participation in tender evaluation and selection of Consulting office. Review of groundwater studies and mitigation measures alternatives. Review of all designs and tender documents prepared by the consultant. Field visits to check and review construction activities. 5. Project title: Comprehensive Hydraulic and Structural Tests of Sheikh Gaber Canal Lining Length 57 km- Northern Sinai 2001 – 2004 . Detailed description of project: Investigate the best way to perform the channel testing, design the methodology for testing the different reaches with regard to hydraulic and structural integrity, identify test level for each reach, measuring exact position of fixation points along the channel before and after testing, measuring the drop in water levels, evaporation rates, site investigation and crack detection, analysis of results to determine seepage rate and comparison with acceptable limits. 6. Project title: Comprehensive Hydraulic and Structural Tests of Sheikh Zayed Canal Lining Length 70 km- Southern Valley Toushka 2003 – 2005 . 7. Project title: Master Plan for El – Adabiya Harbor , Gulf of Suez 2002 –2003. Detailed description of project: Evaluation of number of vessels and expected cargo entering the port until year 2020, preparation of general layout of the harbor until 2020, redesign and check stability of berths, economic analysis, design of development plans. 8. Project title: Planning and Development of the Water Resources of Ain Gudeirat – North Sinai 2003 –2004 . Detailed description of project: Survey of previous geological, geophysical and hydrogeolgical studies, collection of existing field data, study of water resources for bedouins settlement in Sinai, detailed survey works of the project area, field inventory of all production Ains in the project region, collection of water samples design of water harvesting and flash flood protection structures – dam, design of main transport pipe from dam to main storage tanks, design of distributed pipe network for irrigation , preparation of cost estimates and tender documents.